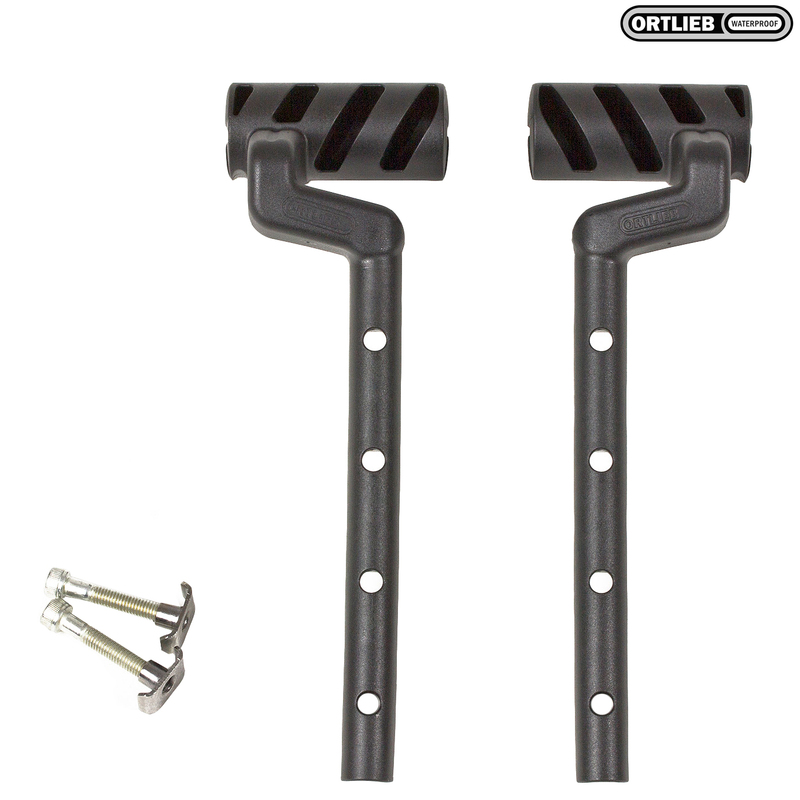 Ortlieb Ultimate Bar Bag Adapter for Fixing Lights, GPS etc. Provides more space on handlebars for lights, GPS etc. Due to the design, the extended range of movement can allow lights to be mounted away from bar bags allowing for a full beam of light. ConsOnly for latest model of bar bag. Unfortunately I had to return these because I had an earlier model of bar bag than they were made for. I was disappointed as it had seemed such a good idea. They are a really nicely designed extra for the Ortleib handlebar bag. They go up better than down, but work both ways. I originally bought these to fix an Exposure Maxx-D light to. For this they don't quite work. If you go down - my preference, then the light is too long and hits the head tube. If it goes over the bag a lot of the light does not cast far enough ahead of the bag. So not very successful. But with other lights I have achieved the effect I wanted. Where do you put your Garmin and lights when touring with a bar bag? Look no further this is the product you need. Can you tell me how long the bar on these is? I need to know how far *below* a bar bag they extend. When measured from the centre of the final mounting hole (so the centre of the bar bag bracket) to the centre of the computer mount this bar is 160mm in length.